TEMPO.CO, Jakarta - Supporters of the Prabowo Subianto-Sandiaga Uno presidential ticket under the Prabowo-Sandi Digital Team (Pride) came to the National Police's Criminal Division in Gambir, Central Jakarta, on Monday, October 8. The team's chief, Taufik Hidayat, said he reported six Instagram accounts for allegedly spreading information aimed at creating hate speech or hostility towards individuals or groups based on ethnicity, religion, and race (SARA). 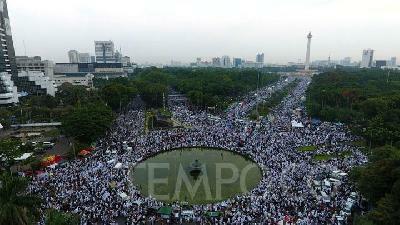 “They are the first spreaders of the site skandalsandiaga.com and sandiagaundercover.com. Based on our investigation, the first account that spread the issue is @Thasa,” Taufik explained. 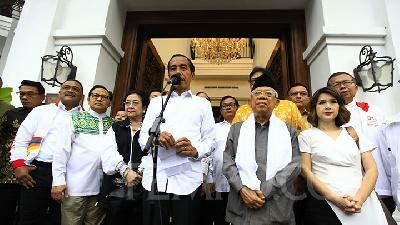 His team, Taufik went on to say, continued to look into the account and several others that posted similar issues. 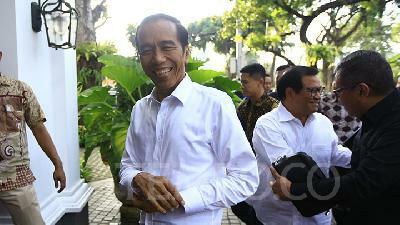 “Its profile notes #2019PilihJokowi-Ma’ruf, that is the first that spread the issue,” he said. Taufik suspected the six accounts were the creator of skandalsandiaga.com and sandiagaundercover.com as they were the spreaders of hoax news on social media. They are @Thasa, @persib73211358, @Della2333235213, @TaniaZulfa4, @IntanNingsih12, and @Njaluk1. Taufix lamented that the wesites, at which Sandiaga Uno was said to have affairs and sexual disorders, showed up a day after the General Election Commission (KPU) announced peaceful campaigns. 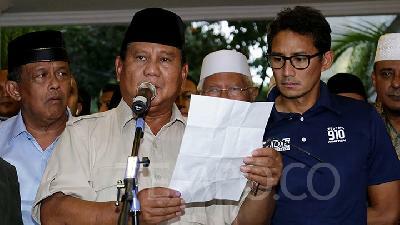 Taufik expected the National Police would comply with President Joko "Jokowi" Widodo's orders to take stern action against hoax or fake news spreaders or those who committed black campaigns against Prabowo Subianto and Sandiaga Uno. “We hope the police will take firm action against anyone spreading defamation and hate speech on social media,” Taufik concluded.